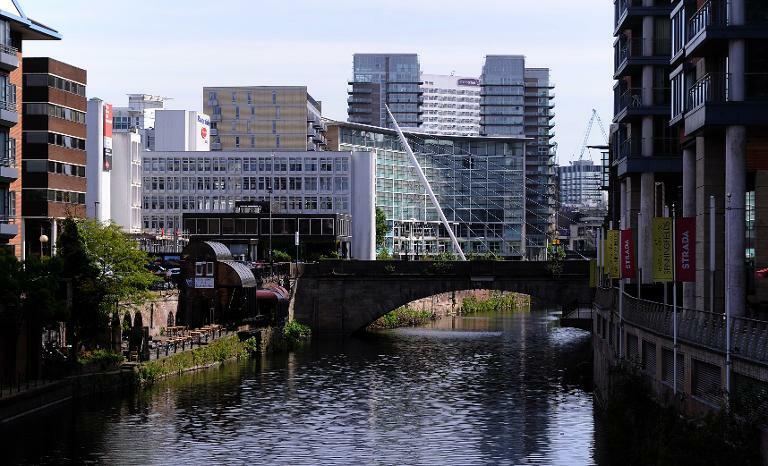 London (AFP) - With 17 bodies discovered in the past two years, the canals that run through Manchester in northern England are racking up a grim tally, prompting one expert to warn of a possible serial killer at large. Police have rejected the theory advanced by Professor Craig Jackson, head of psychology at Birmingham City University, but it has played on local concerns and officials are looking into the safety of canals. Nine bodies were pulled out of the waterways in and around Manchester last year and eight in 2013, almost all men, according to an analysis of reports in the Manchester Evening News -- a high number for a single region. "I'm certainly keeping an open mind as to what's been happening. I can't disprove a serial killer," Jackson was quoted as saying in The Times newspaper. The vast majority of the deaths have been ruled to be either due to accident or suicide, Jackson said. "I study suicide and I can categorically say that people very rarely choose canals as their method... so I don't buy these are suicides," he said. "That leads us to think that the population of Manchester is incredibly clumsy and careless, and I don't think that's particularly true." His comments have fed into local concerns about the deaths, with some speculating there might be one person -- dubbed "The Pusher" by some on social media -- shoving the victims into the water. But police insisted there is no sign of the Manchester deaths being linked, and one source told AFP the speculation was "nonsensical -- it's completely untrue". Detective Chief Superintendent Russ Jackson, who heads the force's serious crime division, said the cases had been subject to separate investigations. "There is no evidence at all to suggest these deaths are linked or were suspicious," he said. The professor has been invited to meet senior detectives next week to discuss his findings. Some have put the number of deaths, at least in the city centre, down to the renovation of the canalside areas which brought bars and clubs close to the water's edge. "There is a pattern in the city centre with people drinking too much and then falling in the canal," police Chief Constable Peter Fahy warned in 2012. The local authority intends to fence off part of the canal known as the Undercroft at night, following a spate of deaths and violent robberies. "There is CCTV in the area, and we have made sure the Undercroft is well lit and have also urged people to be aware of their own personal safety," said Manchester Councillor Pat Karney. "However, we will shortly begin closing the undercroft off at night to improve public safety."